Rain or shine, the streets and treats of Brisbane’s Fortitude Valley paint a picture of the culturally rich precinct for passers-by to explore. From iconic murals stretching the breadth of several buildings and scaling two floors, to the intricate and authentic Queensland craft, there is plenty of ground (and wall space) to cover on your next visit. For a Valley crawl of a different kind, follow our guide and check out the best art galleries and street art decorating this beautiful part of Brisbane. The Institute of Modern Art (IMA) has been hanging captivating and contemporary works on Fortitude Valley walls since 1993, and from now until March 10, IMA is hosting a number of great exhibitions for you to immerse yourself in. Screening exclusively at IMA is Brisbane-based artist Hannah Brontë’s most recent video work, Umma’s Tongue - Molten at 6000°, which focuses on empowerment of women and Indigenous Australians. The work is inspired by hip-hop, popular culture and slang, and explores the role of language in empowerment. As well as supporting local talent, the IMA also brings International art installations to Brisbane. Another exciting exhibition hosted by the IMA is that of Argentinean artist, Amaila Pica, whose work examines the relationship between humans and chimpanzees, inspired by her time in Nigeria. Work by Goldin+Senneby is open for viewing, the Swedish duo renowned for their comment on capitalist society and the role of finance in society. These exhibits are sure to be eye-opening and thought-provoking, so best check them out while you can! 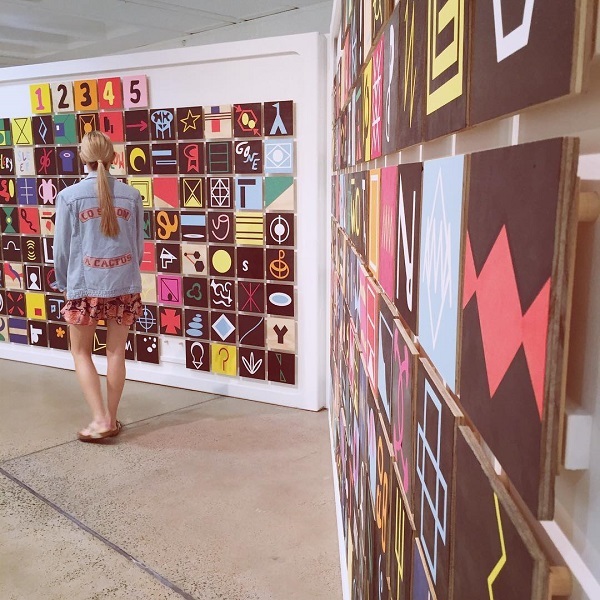 Following a cultural awakening at the IMA, skip along to Coniston Lane where you’ll instantly feel cool vibes as you begin to digest the eye-catching urban art. The lane is brimming with different murals, elaborate designs and bursting colours, rivalling even the best of Melbourne’s Hosier Lane. This lane has served as the canvas for a multitude of artists, including InstaGuss. You could easily spend hours gazing at the wondrously creative wall, but the day is young and your art crawl has only just begun so let’s keep moving, there’s so much to see! 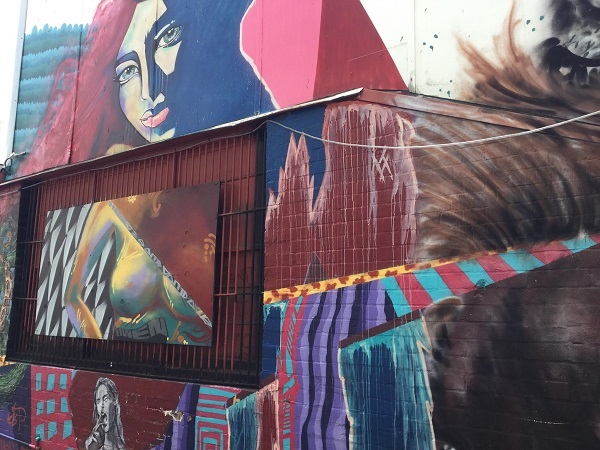 While you’re in the area, you should definitely take a slight detour to Wickham Street – another part of the Valley that bears the marks of renowned graffiti artists. From the strokes of Drapl to Treazy, the street art reflects futuristic vibes, projecting the artists’ visions of the possible world of tomorrow. Why not keep the time travel going shall we? Wander back to Brunswick Street Mall where you will stumble upon Brisvegas’ answer to the Hollywood walk of fame. The landmark is made up of plaques cemented in the pavement to commemorate Brisbane’s most successful musicians and bands from Powderfinger to Savage Garden and Keith Urban to The Bee-Gees. Brunswick Street is also home to Jan Murphy Gallery. The gallery is host to some of the best contemporary artworks from local and interstate Australians. Since its opening, the venue has cemented itself as a leading Brisbane art gallery, with its exhibition spaces showcasing the best in contemporary artwork. Inspired to create something of your own? Wander in the direction of Winn Lane - the perfect backdrop for your next Instagram shot. 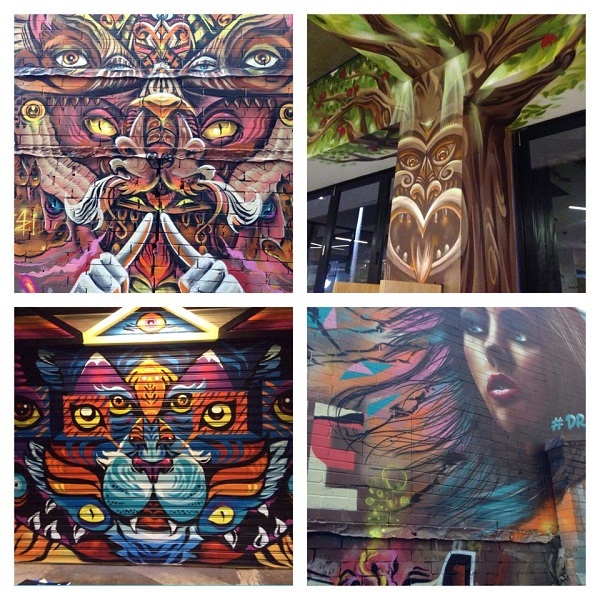 As you turn the corner, you will be astounded by the pockets of street art and wall murals. Snap a picture with the Valley’s renowned treasure, the famous silhouette near the no standing sign - and don’t forget to show us your personal photoshoots by using the hashtag #myvalleybne. Feeling inspired by the art on show? Pay a visit to Oxlades Paint and Art Centre to stock up on everything you need to get those creative juices flowing! Whether you’re a painter, sketcher, drawer or into moulding ceramics, Oxlades are sure to stock the products that will make your creations true works of art. 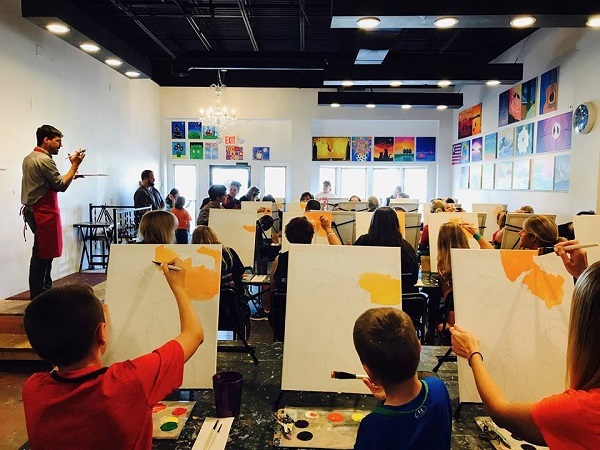 Now you’ve got a handle on the tools to create your own masterpiece, pay a visit to the hottest sip-and-paint venue in town, Brush and Barrel. This BYO-bottle approach to painting has taken Brisbane by storm in recent times, for good reason. The team at Brush and Barrel will guide you from blank canvas to work of art over three hours. Prepare to relax and get creative, as you mingle with your fellow artists. Check out the website to see the upcoming artworks you can paint! By now surely you’ve worked up an appetite, so why not head to Chur Burger. If creating epic burgers wasn’t cool enough, Chur Burger on Constance Street also entices passers-by with its stunning graffiti art. Once you’ve overindulged take your food baby back down towards Chinatown Mall. Here you will be greeted by traditional artworks adorning the walls from roof-to-floor. As you can see, Fortitude Valley is brimming with beautiful artworks and places to get crafty, so you'd better get van Gogh-ing ... yeah, we went there.